Here’s a new commissioned piece I did for my good friend Yves. 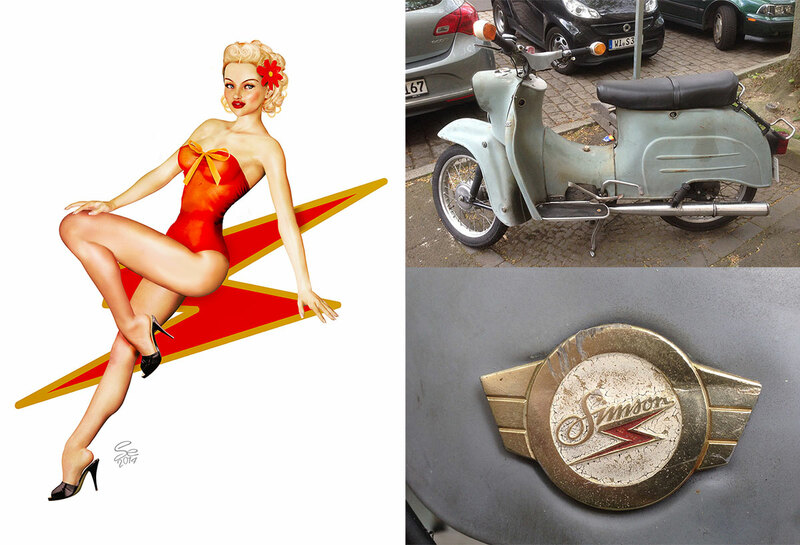 He wanted a pin-up for the side of his Simson Schwalbe scooter, which was built in the old German DDR. He likes skinny blondes, so this was the final, and I incorporated the logo’s lightning bolt to bring it all together. Overall a fun project. Muphy’s law had it though that the bike is now in the shop for the winter, so i’ll have to repost when we finally get the decal on the bike.